Blizzard’s first expansion pack for Diablo III was revealed during the company’s recent Gamescom press conference. The Reaper of Souls add-on includes a boatload of new content including an all-new act, a brand new character class and a higher level cap, among others. The expansion pack will center around a mysterious character known as Malthael. He was last seen as the fallen Archangel of Wisdom in Diablo II: Lord of Destruction but is now back with a sinister new title: Angel of Death. As the story goes, Malthael has now taken control of the Black Soulstone – the very one that contains the soul of Diablo. The new act will take place in Westmarch, described as a sprawling city environment with its own skeletons in the closet. One such example is something referred to as Death Orbs – probably not a good thing. A new playable character class known as the Crusader is a melee fighter that’s been hardened through relentless, brutal combat with the foul evils plaguing eastern Sanctuary. Naturally, this character wears heavy armor and uses crude weapons to inflict maximum damage upon enemies but truth be told, the class will be best used as a tank alongside a well-equipped team. 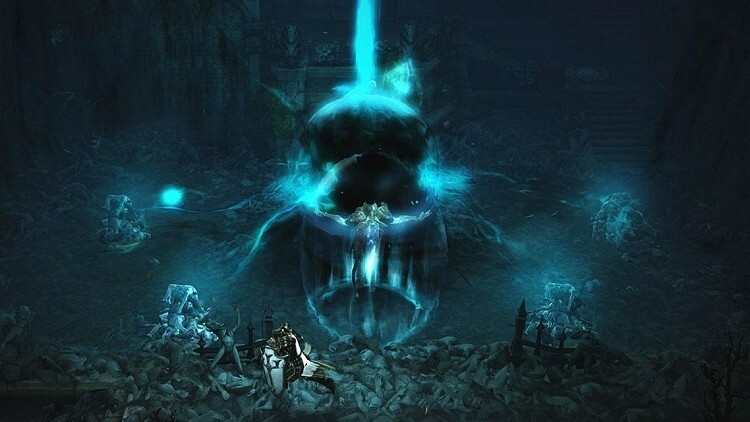 Elsewhere, gamers will find new modes like Loot Run and Nephalem trials which should give you something to do after completing the main story line and a revised loot system – Loot 2.0 – that includes a feature known as smart drop to increase the odds of loot you collect being tailored to your current class. There will also be less loot in general which will be useful when wading through the sea of useless gear. Blizzard stopped short of announcing a release date for Reaper of Souls although we are told to expect more details at BlizzCon in November.